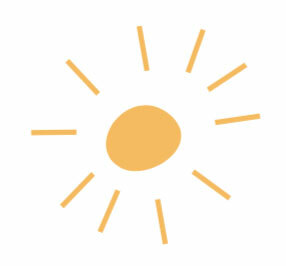 You are here: Home > News > We’re Here to Help Christian Scientists on Their Journey! Follow Along With Us! 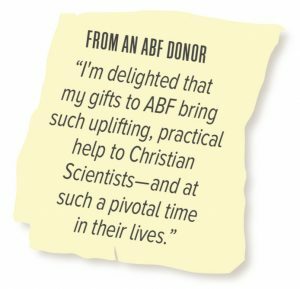 Here at The Albert Baker Fund (ABF), we look out from a wonderful vantage point to witness the aspirations, dedication, and progress of Christian Scientists as they meet the challenges along the path to fulfill their purpose. 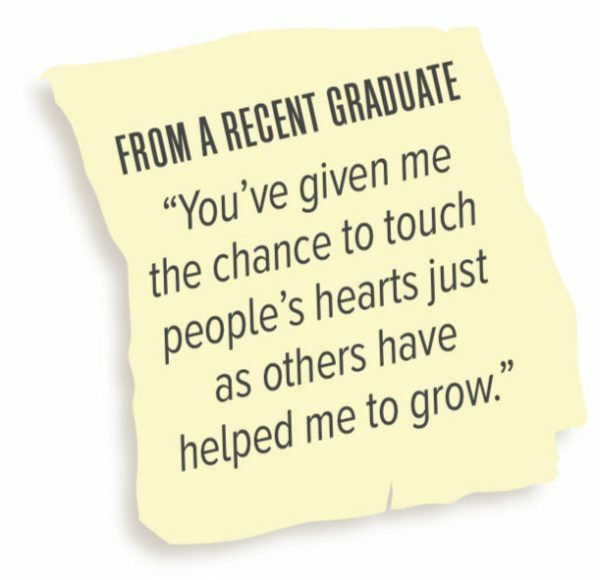 And when we hear back from our students, it’s clear that they appreciate not only the financial assistance but the love and support they feel from the Christian Science community. We learn again and again that the value of our assistance is far greater than the dollar amount of our grants and loans. This recognition — that we are on a journey together — truly inspires and motivates our work for Christian Scientists! So, how do we help Christian Scientists on their journey? It might seem like we just approve applications in order to parse out limited funding to worthy students. But we think of it much differently. Our mission includes the unique opportunity to help Christian Scientists when they are developing their sense of purpose, deepening their talents, and striving to discover how they will use their education to bless others. And we have the privilege of seeing this growth take place within the vibrant education and career opportunities available on the ABF journey map! And who helps with the journey? We couldn’t accomplish this volume and variety of activity without our highly dedicated staff—eight team members in the US and two in Africa—who vet our applicants, process grant and loan applications, manage our programs, communicate with the field, and collaborate with partner organizations that also serve our faith-based community.At the very center of this process is our international network of volunteers—28 Regional Ambassadors located across the US, and 22 In-Country Representatives in Africa, Europe, and the Philippines—who interview each applicant to determine need, commitment to Christian Science, and desire to return blessings received. As students of Christian Science, we know that the most important journey any of us takes is our journey Spiritward. And so, in all that we do practically for our community, in our conversations, our communications, and the resources we share, we want to be sure that we encourage our students and recipients to turn to the one source of all good, God. Make sure your friends and family know that The Albert Baker Fund is here to help them on their education and career journey. This support is an expression of love from Christian Scientists to Christian Scientists. Please help spread the word. Thank you! Engage with us! Join us as a volunteer Career Ally, Regional Ambassador, or board member. Offer an internship to ABF students or post a job opportunity that reaches our entire career community. 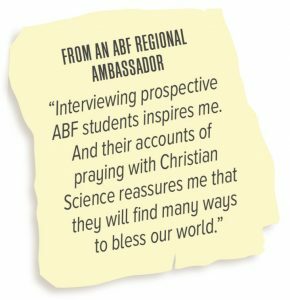 Co-host an ABF Career Alliance event for Christian Scientists in your region! Invest in Christian Scientists—our fellow travelers Spiritward—who are asking for help and guidance with their education and careers. And rejoice with us as they succeed in fulfilling their purpose in tangible ways that bless others! You will make a difference, not only for individual Christian Scientists but for all the ways that our support connects Christian Scientists to each other to strengthen our community. This entry was posted on Thursday, November 15th, 2018	and is filed under News. You can follow any responses to this entry through the RSS 2.0 feed. You can skip to the end and leave a response. Pinging is currently not allowed.